During the latter half of the 19th century, New Brighton developed as a very popular seaside resort serving Liverpool and the Lancashire industrial towns, and many of the large houses were converted to inexpensive hotels. A pier was opened in the 1860s, and the promenade from Seacombe to New Brighton was built in the 1890s. This served both as a recreational amenity in its own right, and to link up the developments along the estuary, and was later extended westwards towards Leasowe. The New Brighton Tower, the tallest in the country, was opened in 1900 but closed in 1919, largely due to lack of maintenance during World War I. Dismantling of the tower was complete by 1921. The Tower Ballroom hosted numerous concerts in the 1950s and 1960s by local Liverpool groups such as The Beatles as well as other international stars. The Tower Ballroom continued in use until it was destroyed by a fire in 1969. New Brighton became the subject of Martin Parr's famous photographic book The Last Resort and is the birthplace of writer Malcolm Lowry. The Floral Pavilion Theatre which opened in 1913 was rebuilt in 2007/2008 as part of a multi-million pound redevelopment which saw the opening of the Marine Point leisure and retail facility in 2011. A range of local businesses, community & voluntary organisations and Wirral Council are working together to help New Brighton achieve its collective vision to build upon its strengths to become a year round premier destination, attracting increased day trippers and overnight stays and increasing employment, whilst supporting and responding to the needs of the local community. 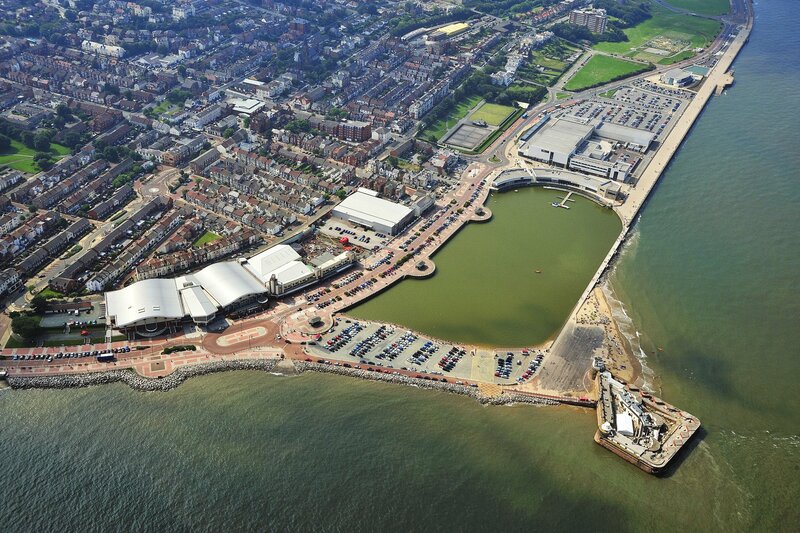 Further information about New Brighton Coastal Community Team and the Economic Plan for the resort can be found here.